‘Black Ringed’ UFO Caught on Tape. 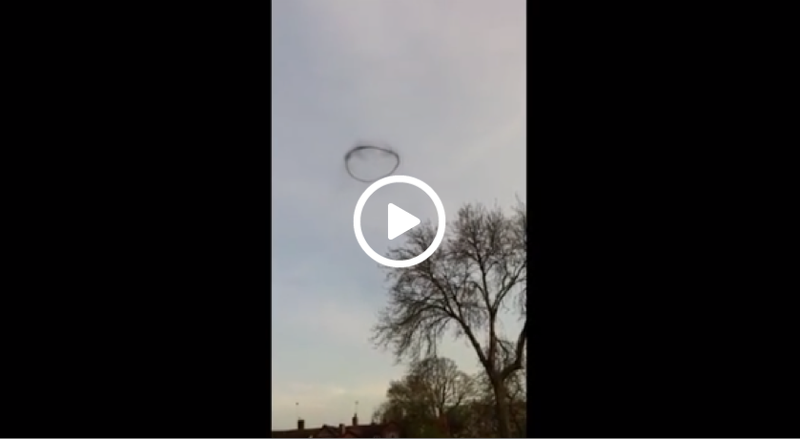 A 16-year-old girl was just finishing a game of tennis with her mom in Leamington Spa, Britain when she noticed something strange in the sky. It was a large black ring that was moving very slowly above the trees. The object disappeared after a few minutes but not before the teen could capture the phenomenon with her phone.